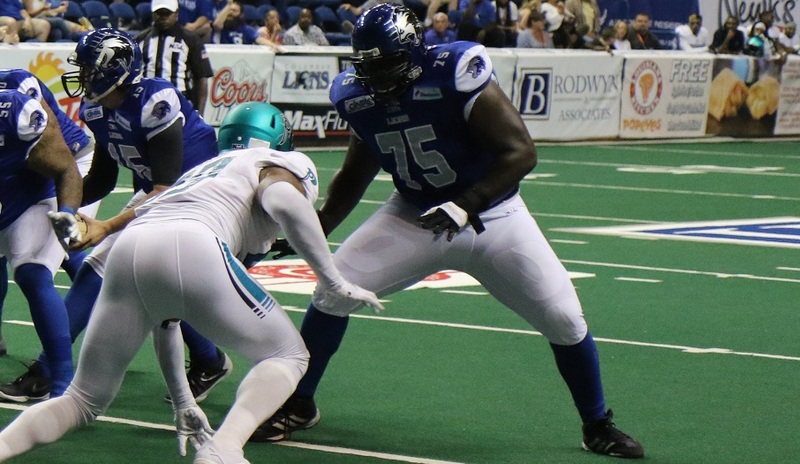 The Columbus Lions organization and Bones Bagaunte have agreed to terms for the 2019 NAL season. 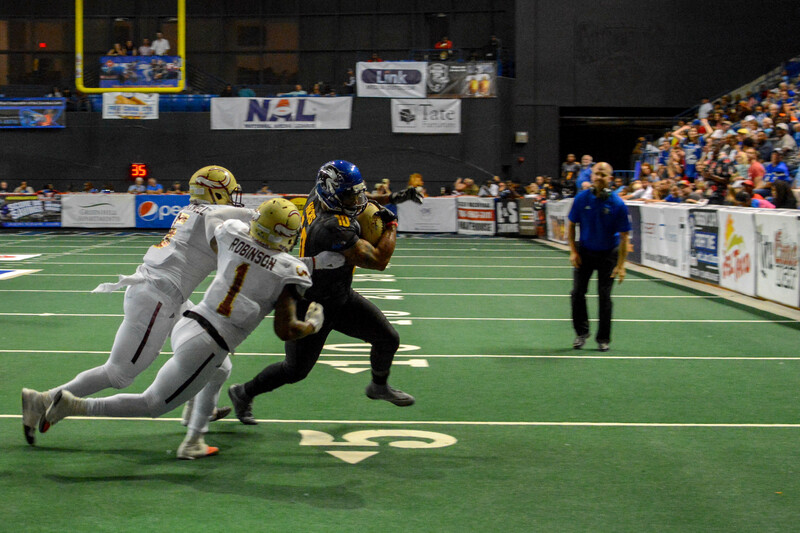 Mason Espinosa, the 2018 National Arena League Offensive Player of the Year, has agreed to terms to return to Columbus Lions organization. "Leo Lion Cub" Club Membership on Sale for 2019! 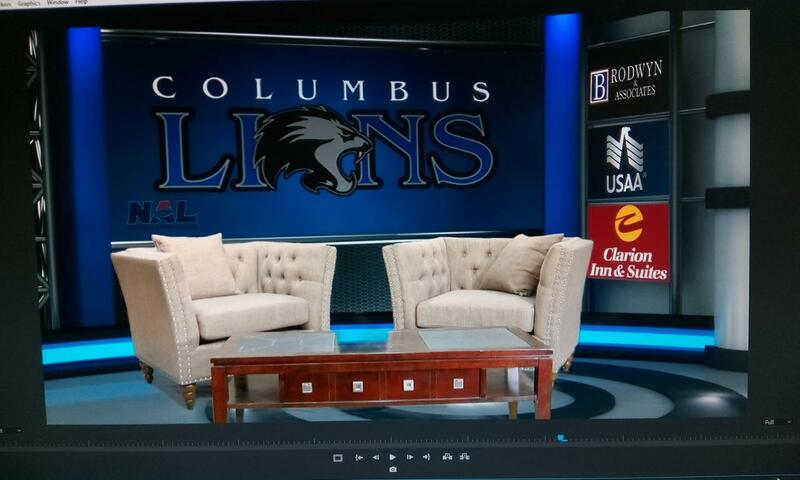 The Columbus Lions are pleased to announce that memberships for the "Leo Lion Cub" club are now available for purchase for the 2019 NAL season. 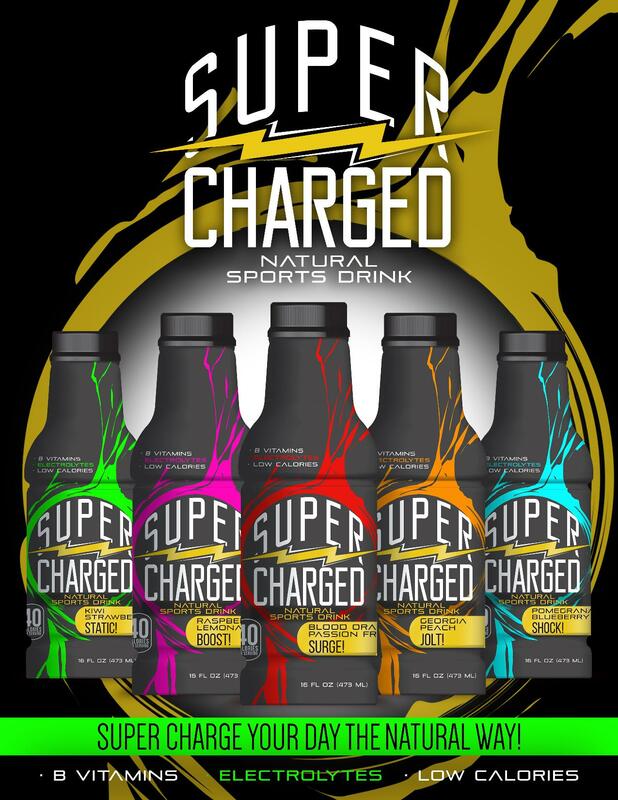 September 7, 2018 (COLUMBUS, GA)- The Columbus Lions indoor professional football team of the National Arena League is proud to announce a newly formed alliance with Sports Reality Performance Training Facility as a regional testing and training site for prospective players. 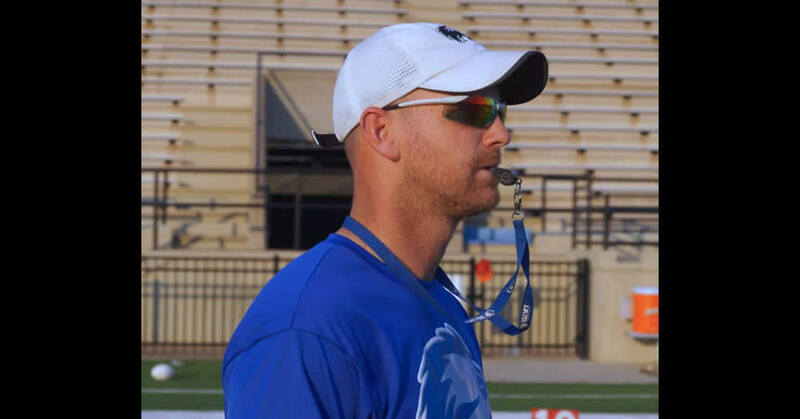 The Columbus Lions, seeking their 5th straight championship appearance, have kicked-off the 2019 campaign with the announcement of the first tryout for the 2019 roster. The tryout will be held on October 27th, at Hughston Clinic Field inside the Columbus Civic Center in Columbus, Georgia. Columbus Lions fullback Quayvon Hicks has been named the 2018 NAL Offensive Rookie of the Year. 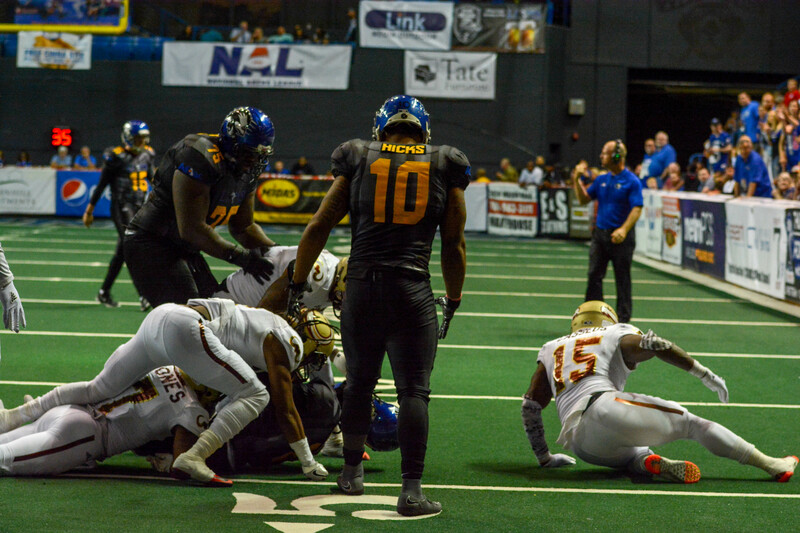 Hicks, honored with a 1st team all-NAL selection earlier in the week, terrorized defenses throughout the year with his unique blend of speed, power, and blocking ability. 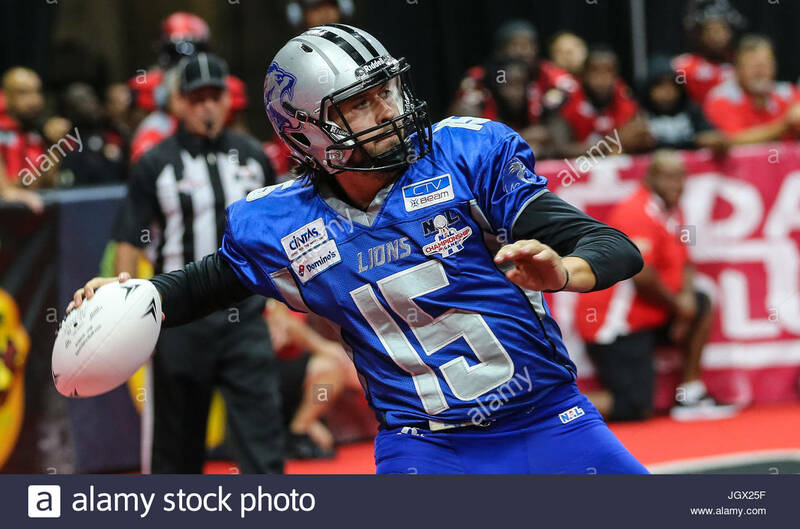 Columbus Lions quarterback Mason Espinosa has been awarded the 2018 NAL Offensive Player of the Year. I want to personally thank you for a great 2018 season. Unfortunately it didn’t end the way we wanted but the journey was one to remember. 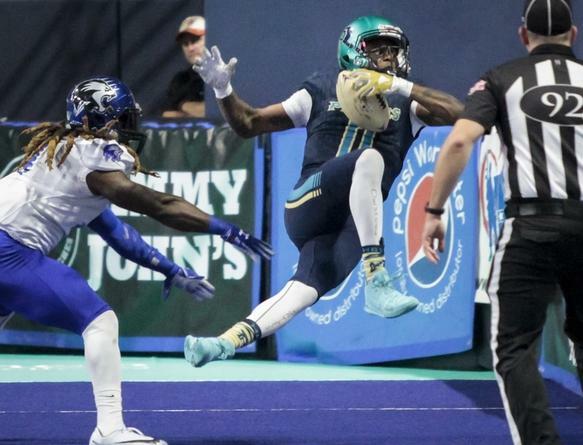 ATLANTA, GA – The National Arena League released its 2018 All-NAL Offense today, featuring the best offensive players from around the league. 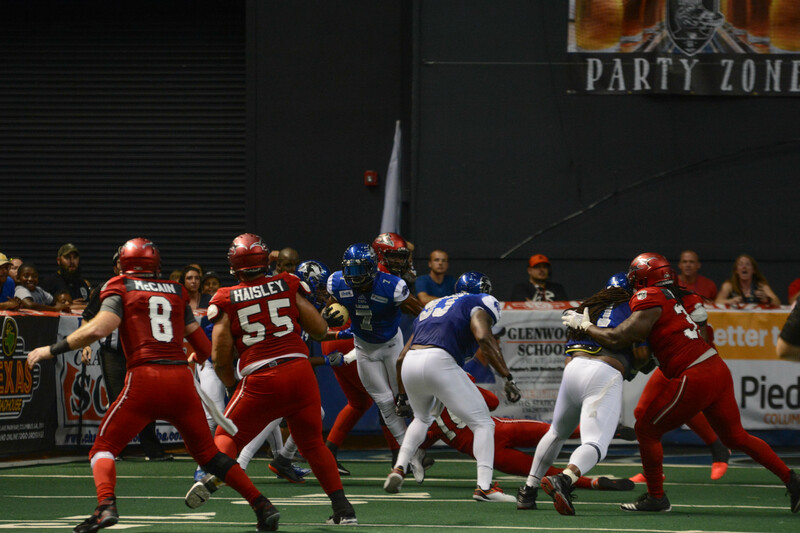 The Lions lead the First Team All-NAL Offense with four total players and the Massachusetts Pirates had two players. For the Second Team All-NAL Offense, the Lions and the Cobras each had three position selections. Lions look to get back on track in Carolina. 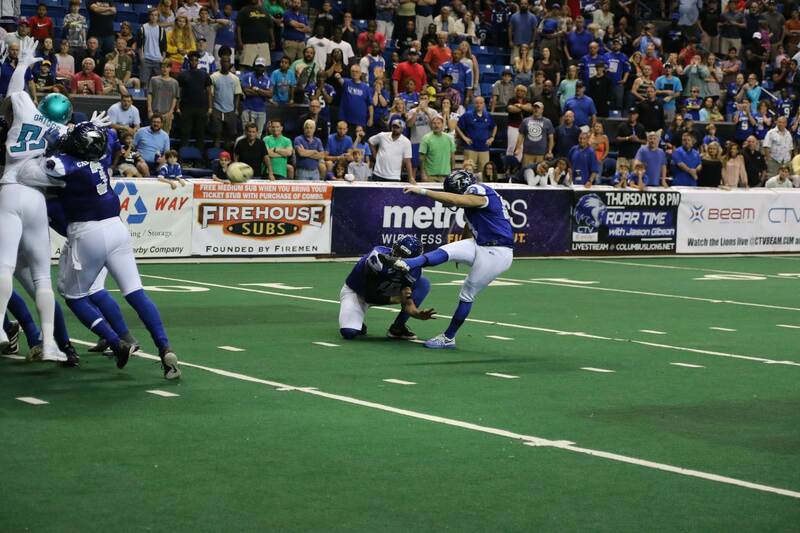 The Lions will look to snap a three-game losing streak on Saturday night against the Carolina Cobras. 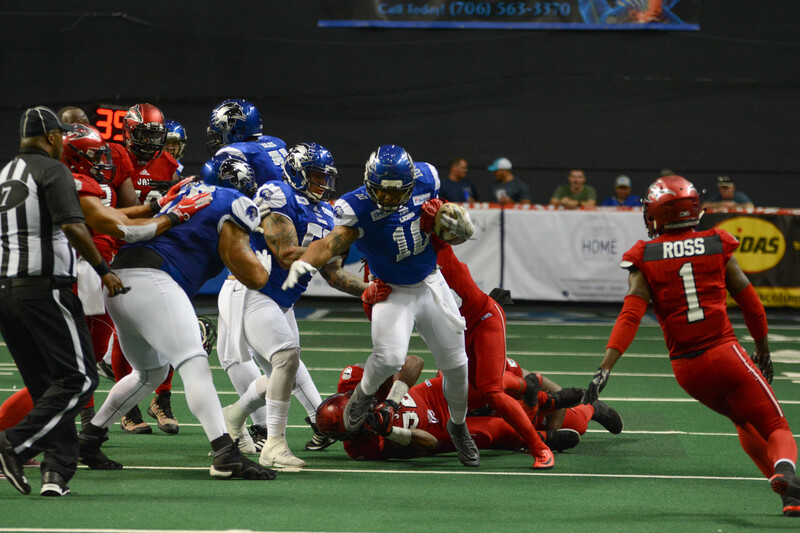 When these two teams met a couple of weeks ago, the Lions were in the midst of a three- game win streak and on a mission to capture the top spot in the NAL. 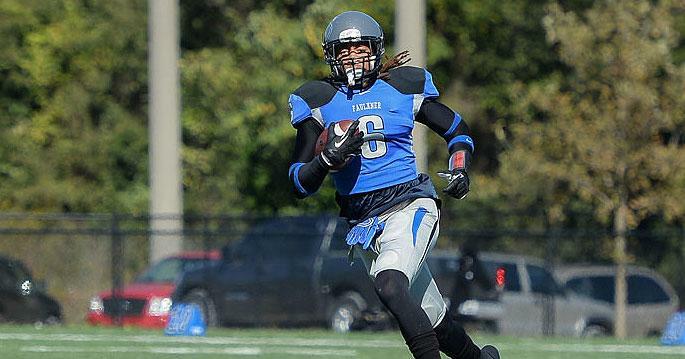 COLUMBUS- The Columbus Lions have once again looked to the SEC to get a running back. 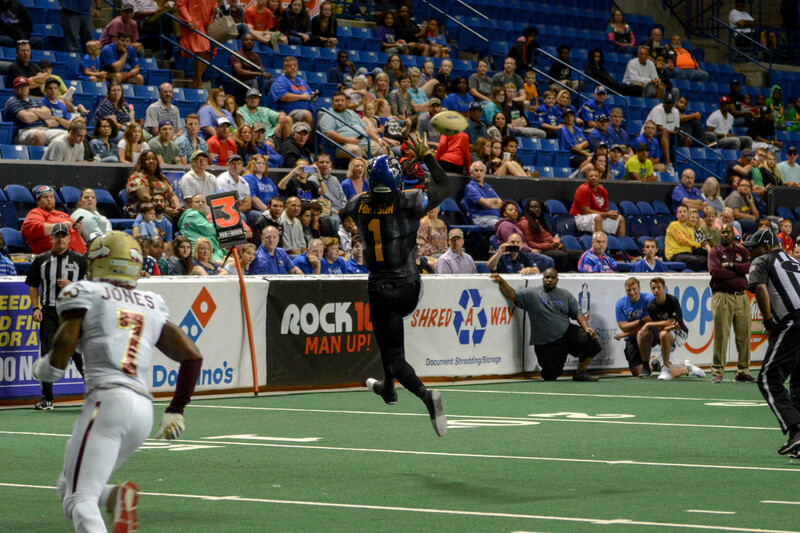 The Lions dropped a close one to the Sharks on the road in Jacksonville on Saturday night. The Lions travel to Jacksonville to take on the Sharks in a game that has major playoff implications. COLUMBUS- Running back Quayvon Hicks has received a camp invite with the Detroit Lions. 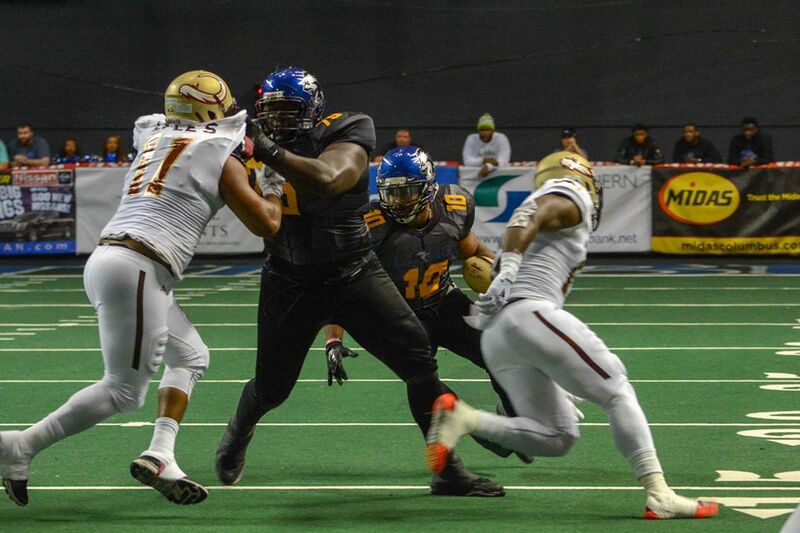 The Lions fell in a close battle last Saturday night against the Maine Mammoths 42-41. 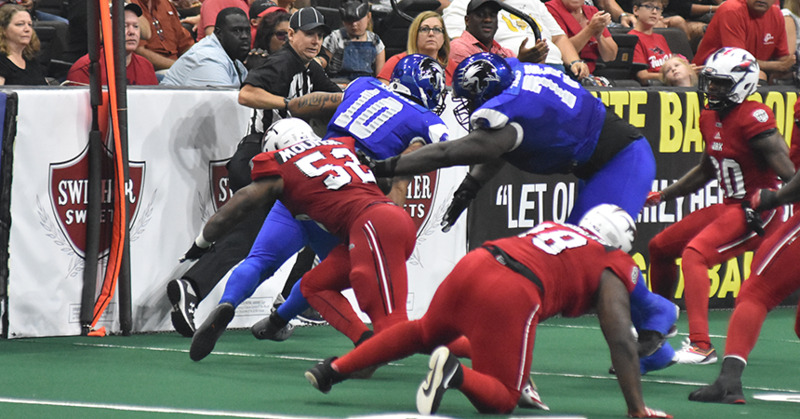 Behind a tough defense and some timely offense, the Columbus Lions defeated the Jacksonville Sharks 48-43 on Saturday night. 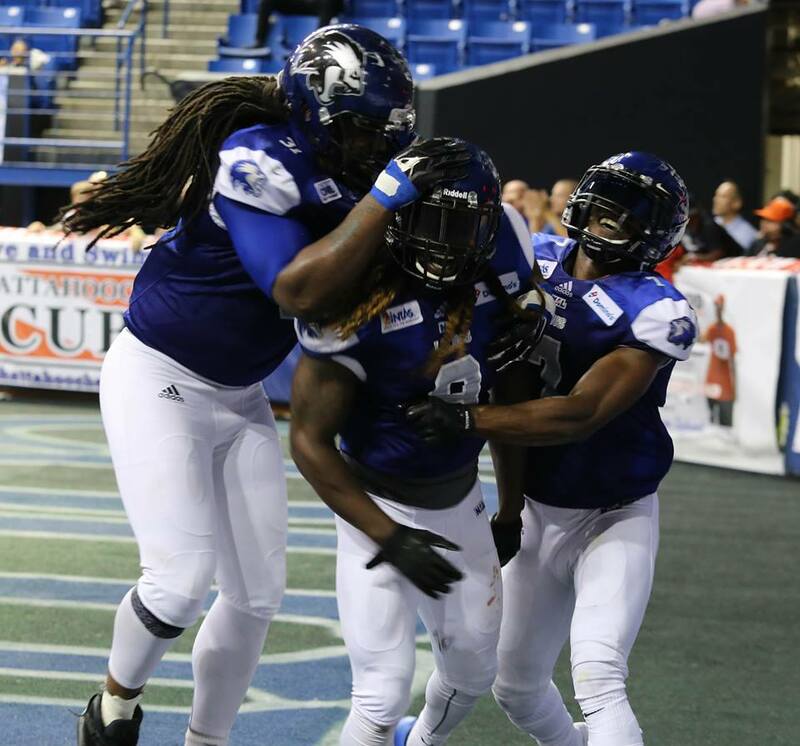 For two consecutive weeks the Columbus Lions have stepped up to the challenge and defeated their opponents. 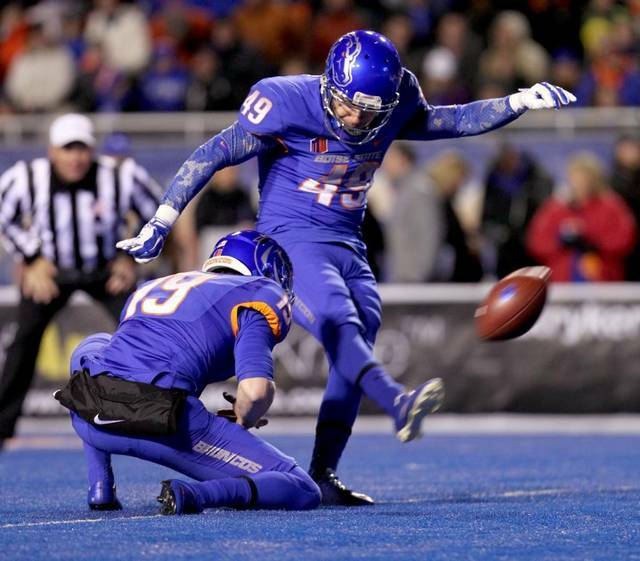 The Lions bolstered their special teams today with the signing of former Boise State Bronco Tyler Rausa. 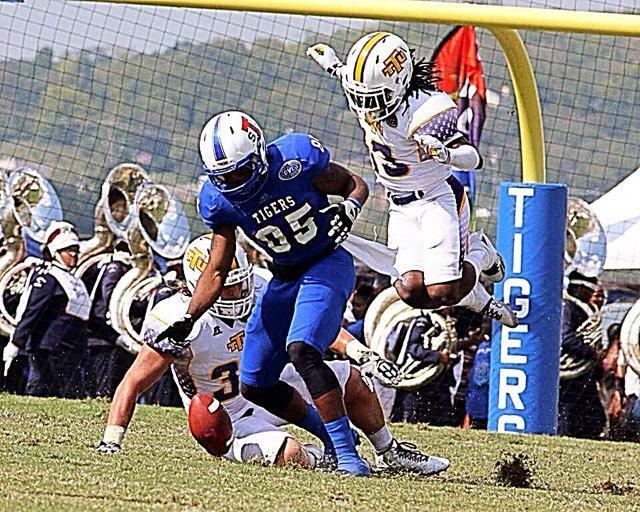 DB Chris Pickett named Week 12 NAL Defensive Player of the Week . 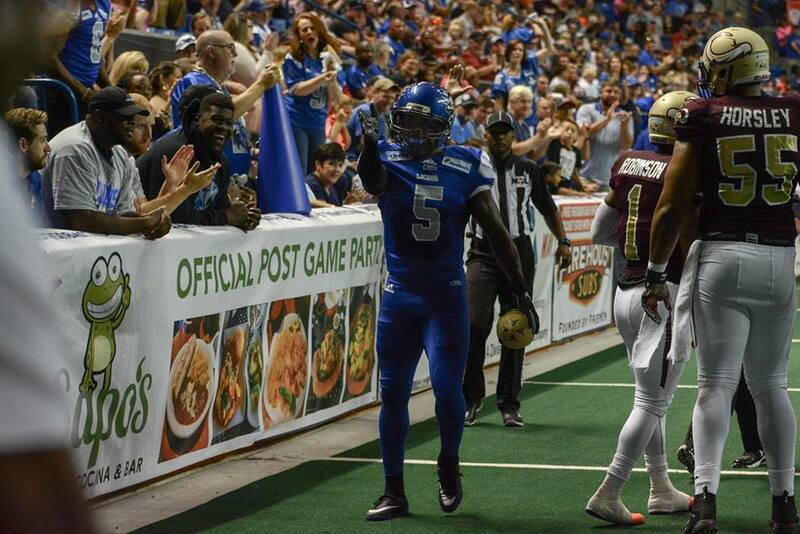 The Columbus Lions escaped Carolina with a narrow 57-55 victory on Saturday night. Costly mistakes lead to a tough loss for the Lions against the Pirates. 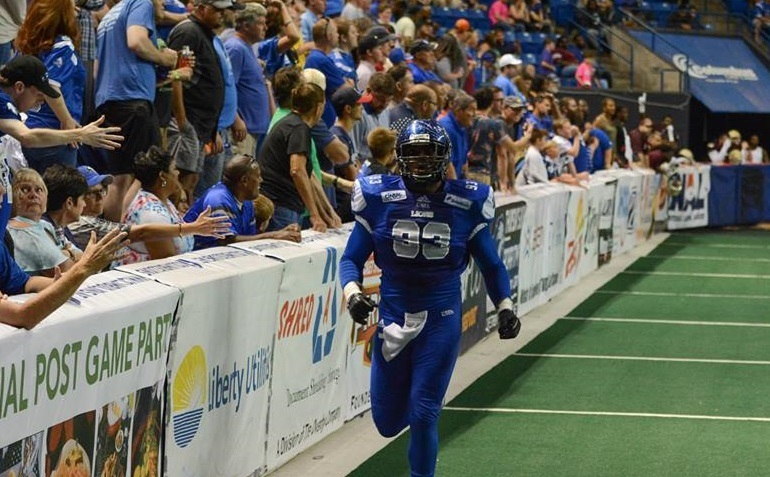 The stretch run begins right now for the Columbus Lions in Massachusetts. 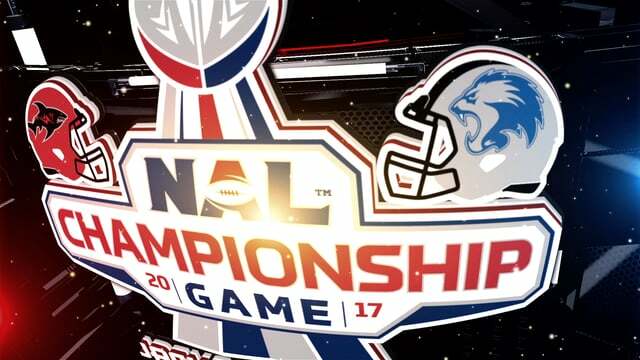 Behind a stellar defense and a dominant run game, the Columbus Lions defeated the Maine Mammoths 55-34 on Saturday night. The Lions held off a late charge from the Mammoths to improve their record to 5-2 on the season. This loss drops the Mammoths to 1-7 on the year. Looking for revenge, the Lions face the Sharks for a in Jacksonville. 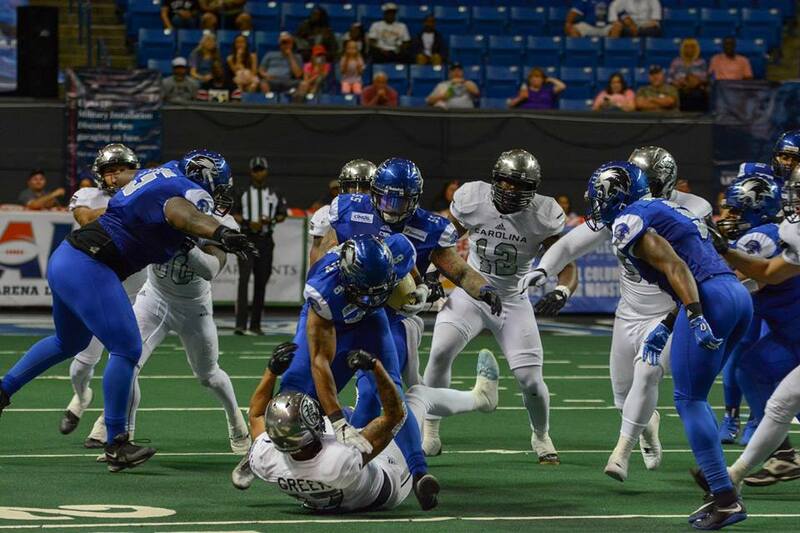 The Columbus Lions should be well rested when they head down to Jacksonville for their matchup against the Sharks on Saturday night. The Lions are coming off a bye week that allowed for them to get some rest and prepare for what should be a fantastic game Saturday night. 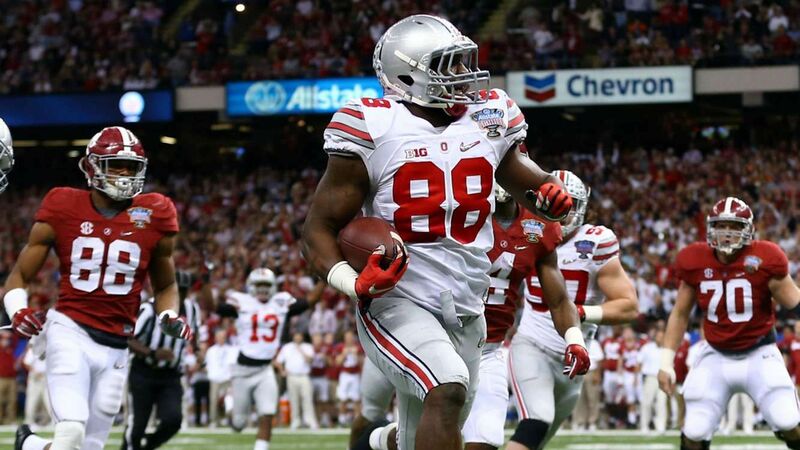 The Columbus Lions signed former defensive end from Ohio State Steve Miller this week. Miller last played for the Ottawa Redblacks of the CFL. 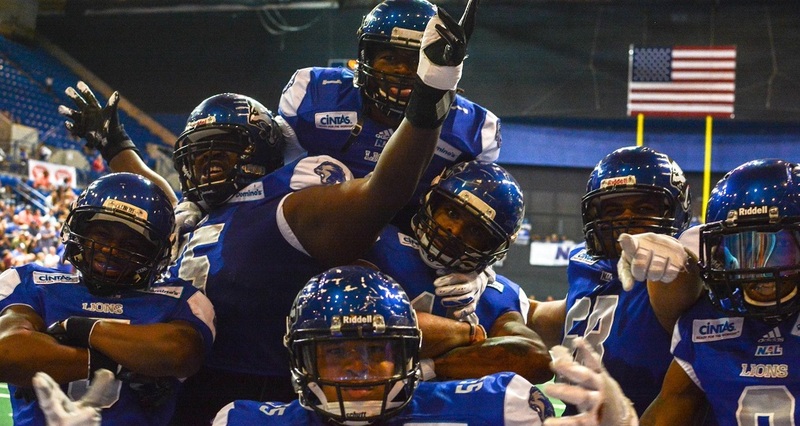 The Columbus Lions showed off just how lethal their offense can be in their lopsided victory over the Lehigh Valley Steelhawks. 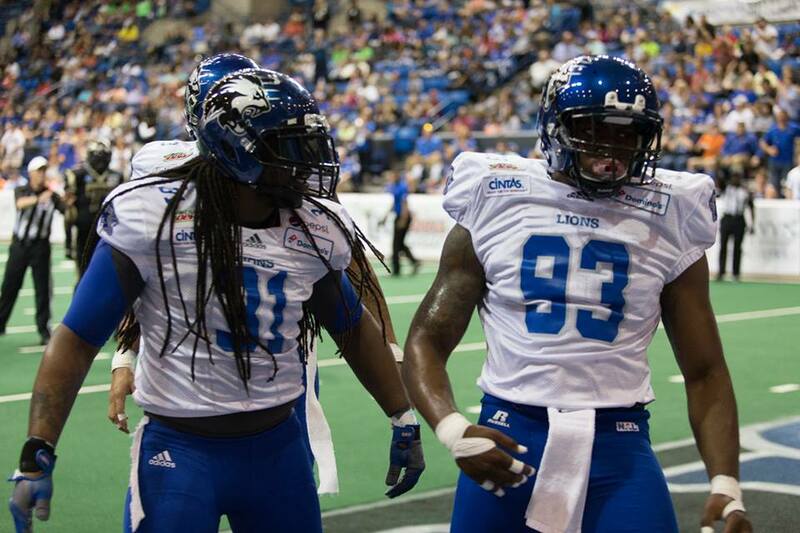 The Lions won a big road game and are now at the top the NAL standings with their 77-38 victory. Mason Espinosa had a career day for the Lions and the defense scored as well. 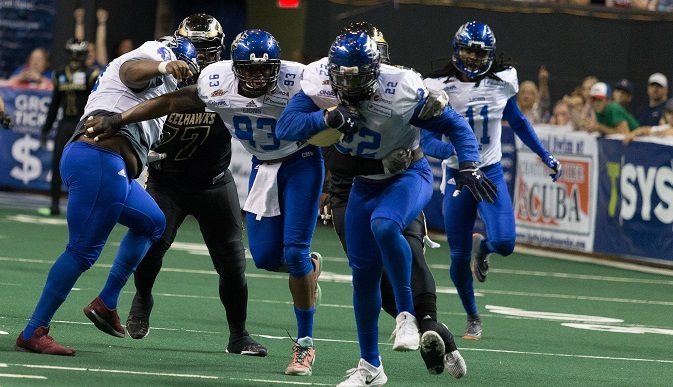 After last week’s thrilling victory over the Carolina Cobras, the Columbus Lions (3-1) will travel to Lehigh Valley to take on the Steelhawks (0-5). Columbus is coming off a huge, last second victory and are looking to continue their momentum on the road. 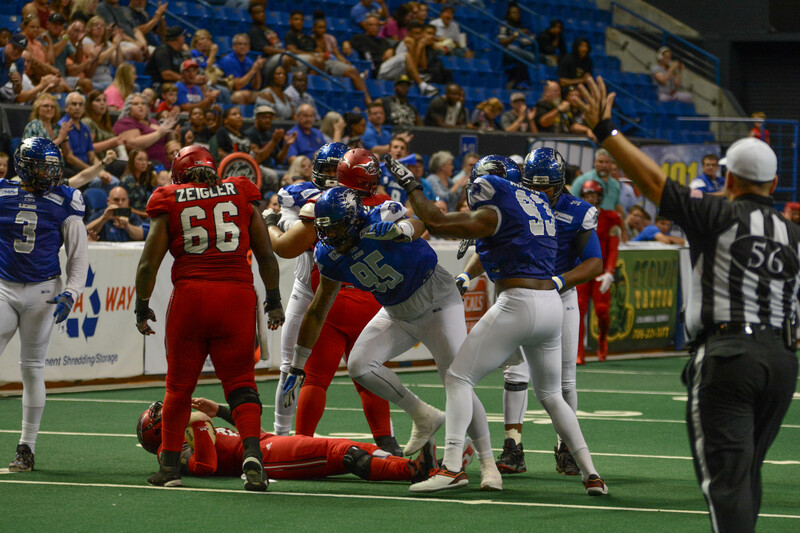 It was a back and forth game all night long in the Columbus Civic Center as the Columbus Lions were able escape with a one-point victory over the Carolina Cobras, due to some late game heroics. 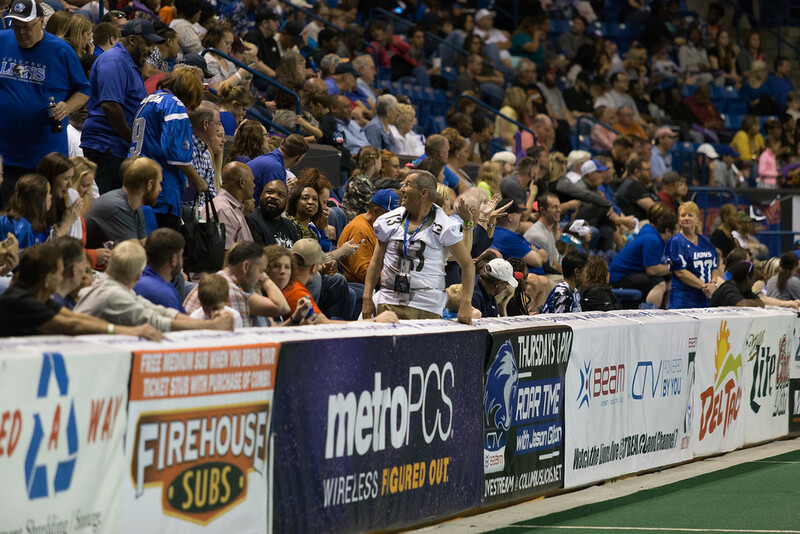 the “Jungle” once again, this time fending off the visiting Carolina Cobras (4-1). 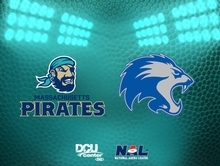 After a much needed week off, the Columbus Lions go on the road for their first away game against the expansion Massachusetts Pirates on May 6th at the DCU arena. Massachusetts looks to be much stronger than a new team joining the NAL for 2018. 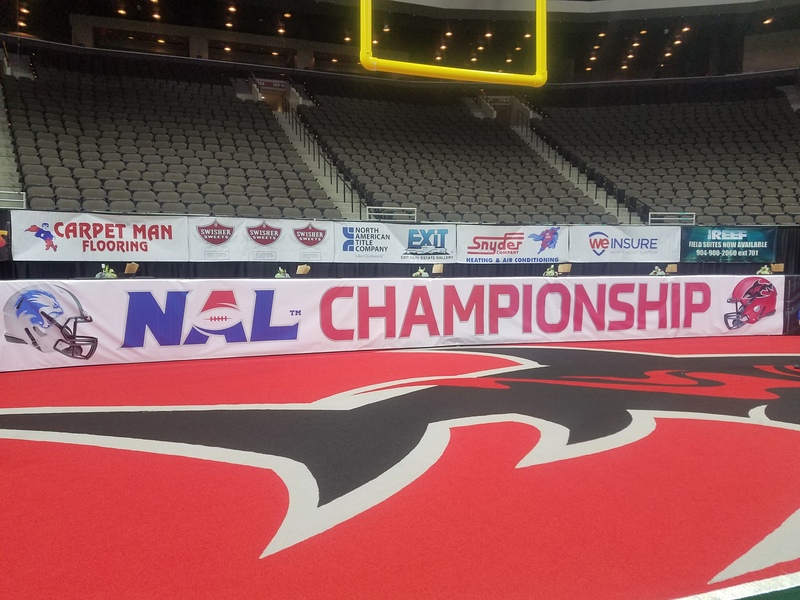 Columbus will get a good idea of how good the Lions are for 2018 as Columbus takes on yet another playoff team the 2017 NAL champion Jacksonville Sharks Saturday night at the Columbus Civic Center. 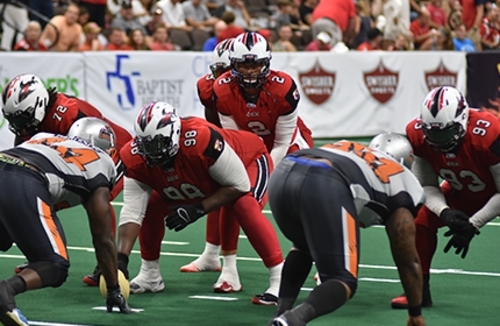 Columbus’ defense was the story of the game as the Lions limited Lehigh Valley to a mere 190 total yards in a 50-18 victory April 13th at the Columbus Civic Center. It was the season opener for both teams. 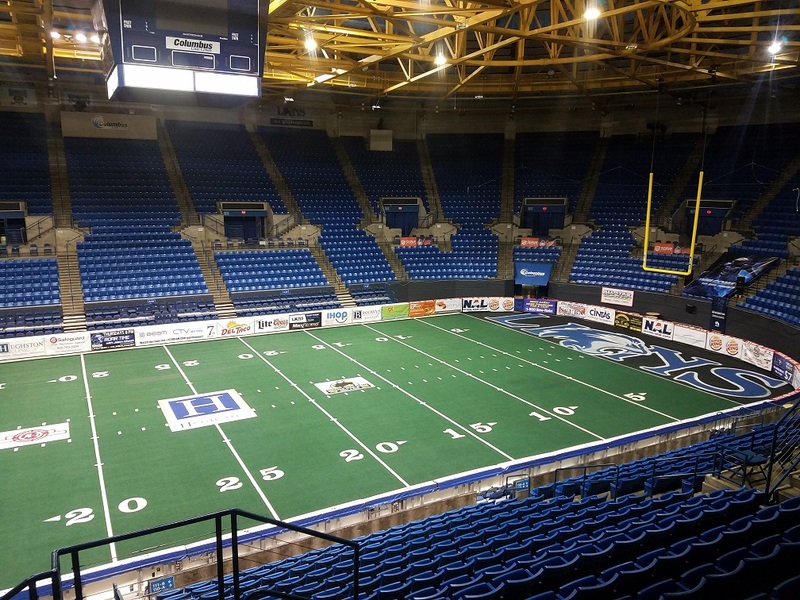 The Columbus Lions will begin their 2018 campaign in the NAL on Friday as they will host the Lehigh Valley Steelhawks at 7:30 at the Columbus Civic Center in a battle between 2017’s conference semifinalists. 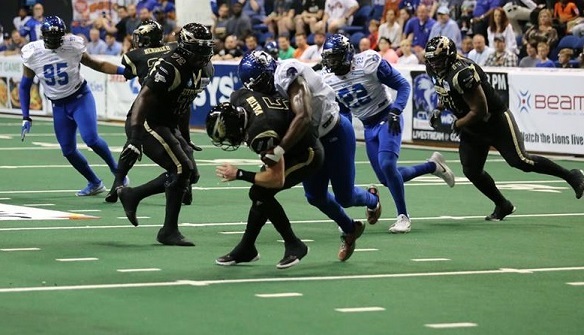 However, this is a rematch in team names only as both the Lions and the Steelhawks have significant roster changes from last year from the 2017 playoff teams. Gone from the Lions is 2017 Offensive player of the year, Michael Reeve. Reeve led the league in catches, receiving yards and touchdowns. Reeve was instrumental in leading the Lions on the offensive side of the ball as Columbus led the league in total offense, passing yardage and touchdowns. Gone from the Steelhawks is quarterback Warren Smith. He was the individual leader in passing yardage, touchdowns and total offense and was the second leading ground gainer on the 2017 squad. In addition, his 56 touchdown passes set a new all-time record for Lehigh Valley in a single season. Add to the changes are all the Steelhawk receivers but one are no longer on the roster. 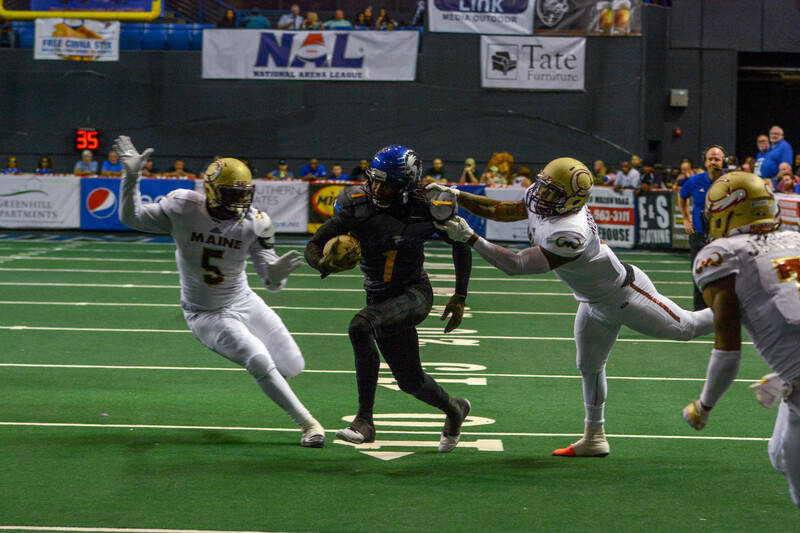 Lehigh Valley did resign in the last week their all-time leading receiver in yardage and catches, Brandon Renford and he is expected to be the Steelhawks No. 1 passing target. That’s a lot of offense for both teams not on the field for the new season. 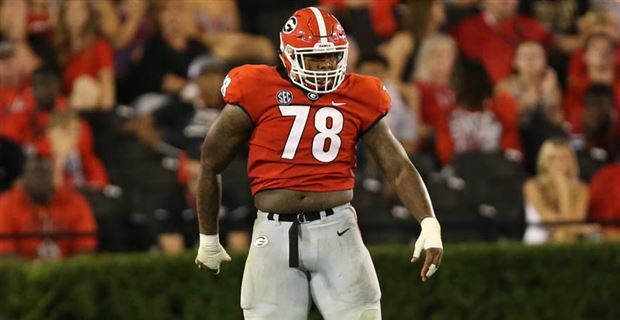 The offense got even stronger as the Lions picked up former Oklahoma player and Lion Durron Neal, who is expected to step right in and help on the offensive side of the ball. “I am excited to see what I have for both offense and defense,” Gibson said of the opener. Although Reeve is gone, the Lions do have returning at quarterback, Mason Espinosa, who was the starter the second half of the season. Backing Espinosa up is Auburn grad Jeremy Johnson, who could see action against Lehigh Valley as well. 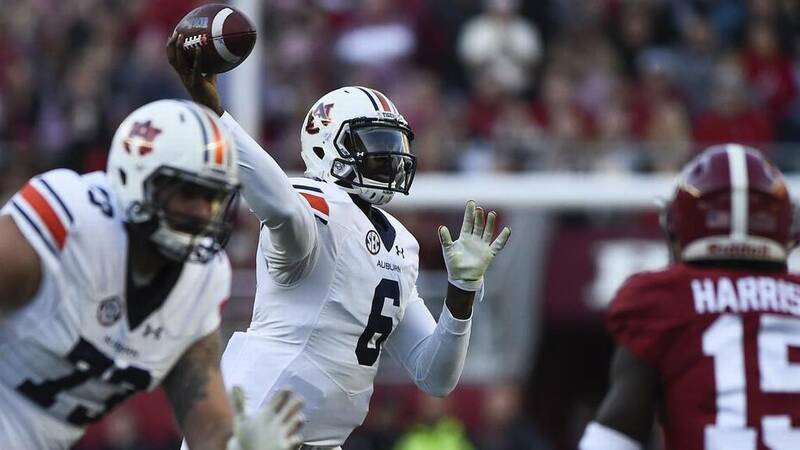 Both quarterbacks have experience at receiver with veterans Jarmon Fortson and Triston Purifoy back in the fold. 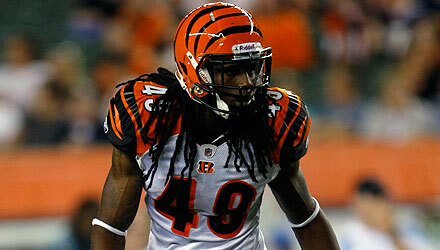 Both were in the top five in the league in receiving and were right behind Reeve in catches and yardage. While Gibson is a veteran of the arena league play, the Steelhawks will have a new coach at the helm, Bob Kohler. Kohler was on the staff the past three years and has moved up to the head spot. One of the most unique moves Kohler made to his staff was the hiring of Lori Locust, the only female coach in Arena football. Locust was a semi-pro female player that had a career-ending injury and moved to coaching where she had seven years experience before coming to Lehigh Valley. She coaches on defense and special teams. 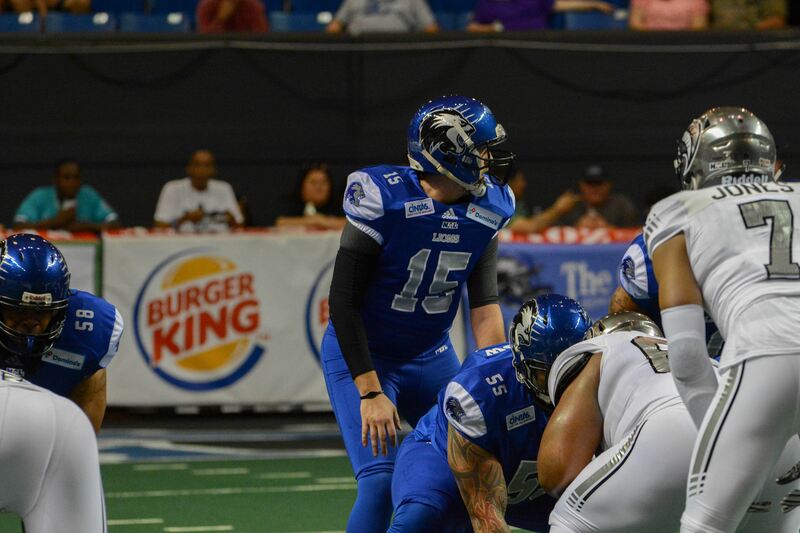 Since Smith left, the Steelhawks have only two quarterbacks on their roster. Caleb Walton has been listed since training camp began and with the loss of Smith, Lehigh Valley added 6-5 Seth Higgins from Morgan State. “I think Walton will start for them but Higgins could also play,” said Gibson of his Friday opponents. 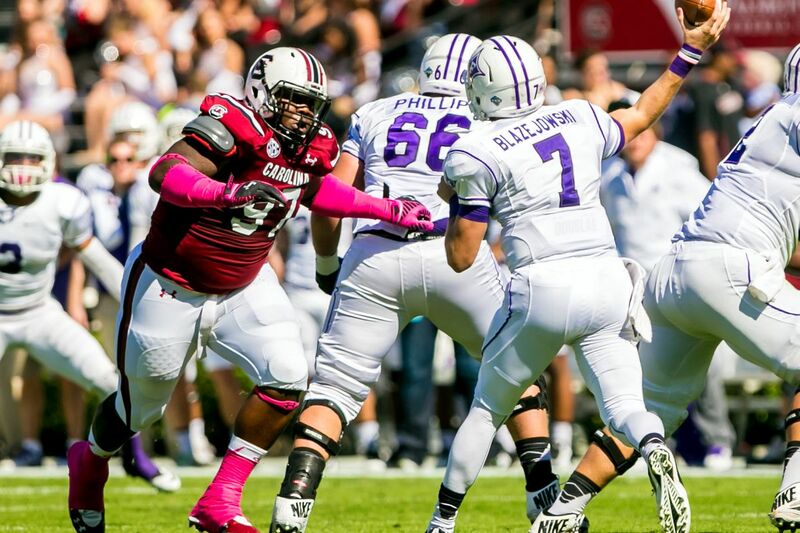 The Steelhawks also added Undra Hendrix from the High Country Grizzlies. Hendrix scored 12 rushing touchdowns in 2017. “We know Hendrix and are aware of what he can do. We held him in check the last time he played against us,” reported Gibson of the Steelhawk pickup. 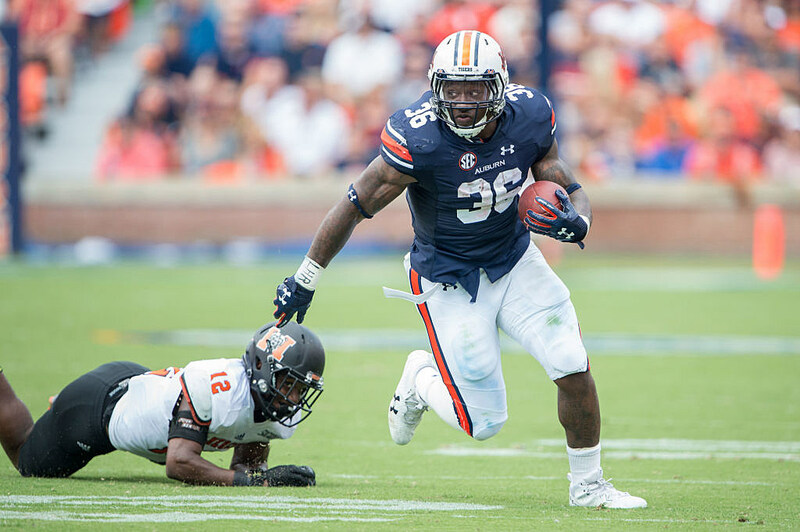 At fullback the Lions will counter with two rookies, Robert Caldwell and Quayvon Hicks. 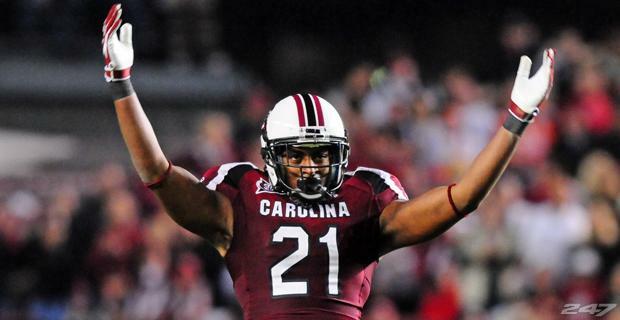 Georgia football fans would recognize Hicks’ name as he was the lead back for the Bulldogs’ Todd Gurley during his collegiate days. 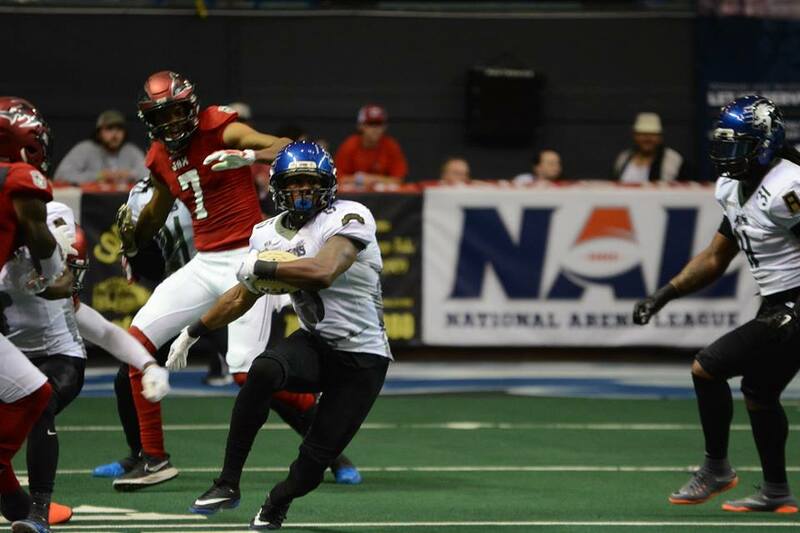 Columbus, GA- After a stellar playoff performance last season vs. Lehigh Valley Steelhawks where Durron Neal hauled in 15 catches and 3TDs, the former Oklahoma Sooner returns to Columbus for the 2018 season. 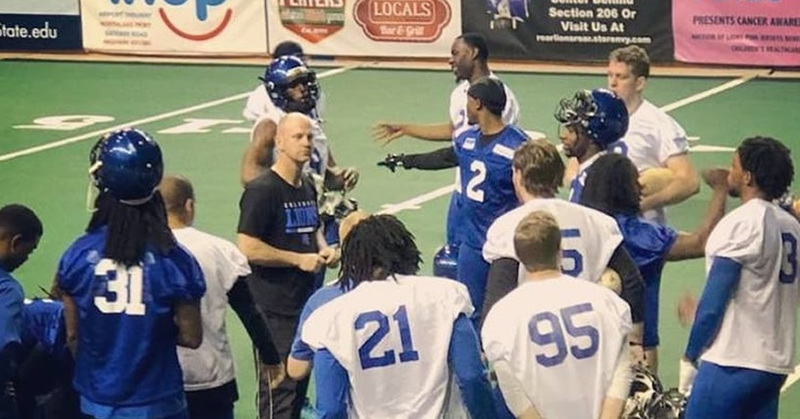 With only two weeks before the home opener with the Lehigh Valley Steelhawks, Columbus’ Lions offensive and defensive lineman reported on the 29th and had their first practice with a full team on the 30th at Garrett-Harrison Stadium. 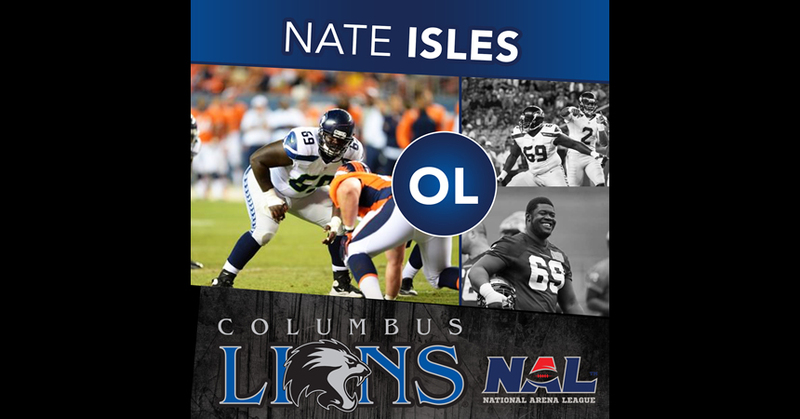 Lions have signed 6�6 248 OL Nate Isles for the 2018 season. Lions have signed 6’6 248 OL Nate Isles for the 2018 season.